I love the western so it’s good to see one doing so well at the box office but I avoided this film in the cinema partly because of its length and partly because of Tarantino. I gave up on Inglorious Basterds after half an hour; I no longer found his knowing dialogue funny. However, this is fairly-well reigned in on Django and the set-up is terrific: Christopher Waltz’s bounty hunter aiding Jamie Foxx’s slave to become a free man. Leonard DiCaprio is superb as the southern gentleman-racist whose veneer of civilisation is so thin that he’s almost translucent. But… there is going to be a but. There was criticism, at the time of the film’s release, of the film’s violence. I had assumed that this was to do with excess but didn’t expect to be bothered by it. After all the film’s roots are in ‘spaghetti westerns’ so violence is likely to be foregrounded. Thus when black ‘mandingo’ wrestlers fight to the death the gruesomeness is appropriate even if it has no basis in historical fact (see here). If it serves to emphasise the inhumanity of the slavers’ behaviour then it is dramatically justified. However the ‘bloodbath’ of the shoot-outs becomes throughout the film, literally, bloodbaths; that is, there is blood spurting everywhere. On one level it’s funny in a Monty Python sort of why; however it also serves to detract from the drama that has unfolded. We are suddenly ripped from the ‘good vs evil’ battle, central to the western, and reminded we’re just watching a Tarantino film. In the end I was bored and annoyed because the representation of slavery, in the early part of the film, was so compelling. 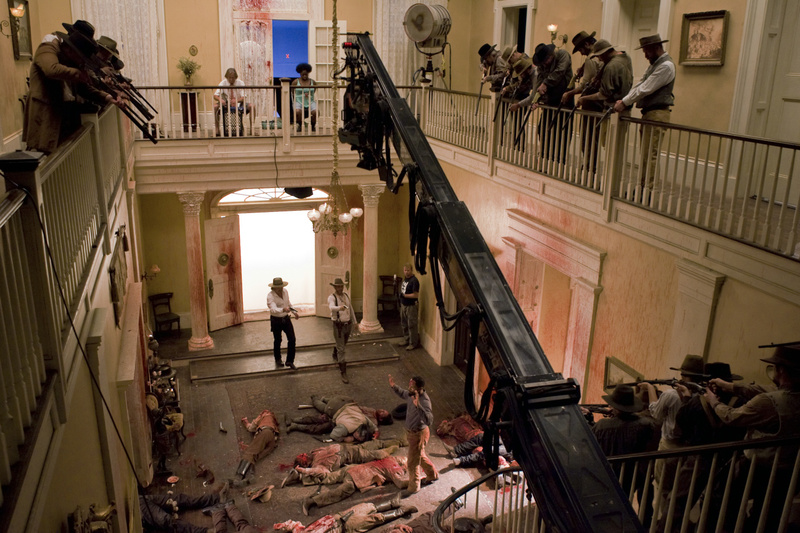 In the stylised Kill Bill volume 1 (2003) the ‘bloodbath’ was part of the aesthetics; in Django Unchained it trivialises what has gone before. There’s a lot to like in Susanne Bier’s melodrama including marvellous performances and Connie Nielsen (apologies but she is just stunning to look at). 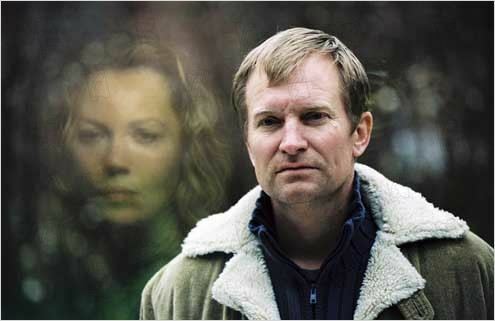 The film appears to be about the relationship between two brothers: the solid and successful Michael (Ulrich Thomsen – above) and the failure Jannik. However, after Michael goes missing, presumed dead, in Afghanistan Jannik steps up to help his previously estranged sister-in-law. I don’t want to spoil the contrived narrative (that’s not a criticism as this is melodrama) but it did strike me that the Nielsen’s Sarah was the key character in the film as she has to deal with the fall-out of her husband’s disappearance; they have two small children. She doesn’t move to centre stage until quite a way into the film and so it seems to change direction as it looks initially to be about, as indicated by the title, the men. As in In a Better World (2010) Bier excels in engaging the audience deeply into the emotional situation; though I found the later film to be superior. Possibly this is because of the film’s uncertain focus: is it dealing with brotherly love or the emotional turmoil of losing someone close MIA? Regardless, the film is certainly well worth seeing.